Are you sick of starting and exercise program only to find yourself quitting a week, a month, or even a couple years later? Are you sick of putting in WAY too much effort for a lackluster return in results? Are you sick of trying everything under the sun and not understanding why it doesn't work for you? There IS a reason you keep finding yourself here. Do you want to know this "secret" to lifelong fitness? Most people’s problems when they start their fitness journey is LITERALLY trying too damn hard. Not knowing what you’re doing to make yourself as efficient as possible. You try so hard that you get burnt out. You think more is better when it comes to exercise. WRONG. More is not better. Higher quality is better. Understanding WHAT you’re doing and WHY you’re doing it is better. When you’re just willy nilly cutting carbs, killing yourself doing cardio or conditioning circuits, cutting your calories WAY too low or any other silly way to “get fit” you significantly decrease your chances of long-term success. Because no normal human being can do that for the long-term. It requires you to live on willpower. ANYTIME YOU’RE RELYING ON WILLPOWER, YOU ARE DECREASING YOUR EFFICIENCY. Aka being the RIGHT amount of lazy. The minimum effective dose is understanding WHAT you’re doing and HOW it’s affecting your body so you can do the minimum amount of work required to get the results that you want. This is what allows you to get there without pulling your hair out. This amount of “ease” is what allows you get to where you want to go, and STAY there. This is the thing… Most people want this to be mentally easy. They don’t want to think. They just want someone to tell them what to do or just take a pill and have it magically happen. Even if they have to PHYSICALLY kill themselves doing it! But, it just doesn’t work like this. Hence why the amount of effort you put in, doesn’t NECESSARILY equal the reward you want. To be efficient, you have to LEARN about yourself and what works for you. And this is where everyone gets hung up…. If you DO find this secret formula though, please let me know! Because I want to hear about it! But, until then, your best bet would be to find a coach that is solid in science and understands how to help you HELP YOURSELF find the best path FOR YOU. Of course there are guidelines that we go by (what we currently “know” in science), but beyond that, it’s about making it YOURS. If you want to learn more about what I mean by making fitness yours, schedule a $15 sample session with me (Ashley!) at Brainy Betties in Coxsackie. This session is no risk. You have nothing to lose. I am a masters degreed exercise physiologist and personal trainer with over 10 years of experience in the field. I, like you, got sick of sleezy infomercials and other fake promises to fitness. I wanted to learn the truth, and have a deep understanding of the body to help people truly better their lives…in the best way for them. This Sample Session is Around an Hour and Half...for Only $15!! 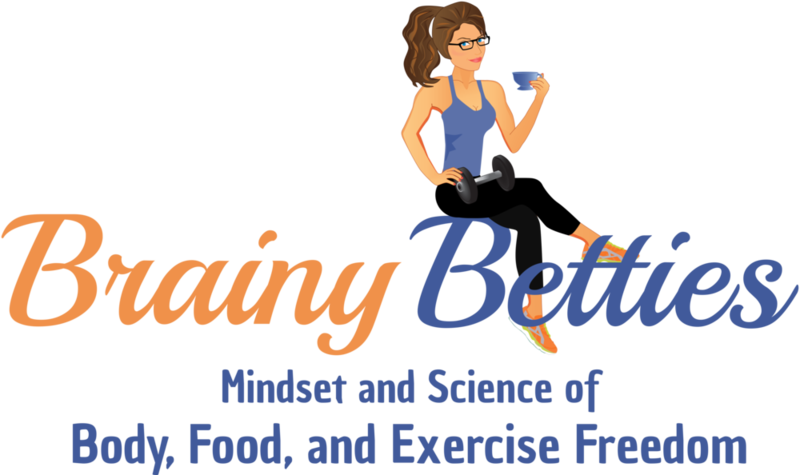 This session is part discussion (figuring out where you’ve been, where you are now, and how Brainy Betties can help you get to where you want to go) and part sample workout. I won’t be doing these forever. So, take me up on this offer while it’s still here. And no worries, even if you decide Brainy Betties isn’t a good fit for you, you will still leave with a lot of knowledge to better your life.